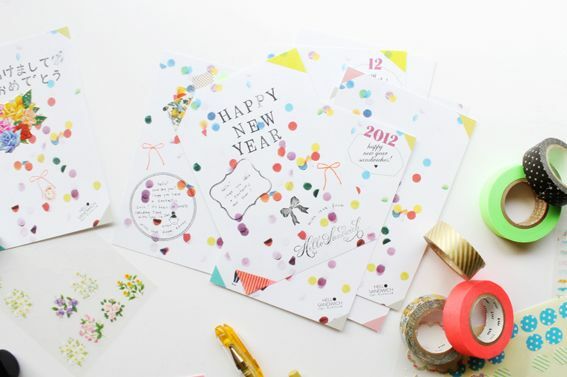 It's time to start making new years cards! It's more fun to make them with others in a cute gallery with a nice cold beer don't you think? 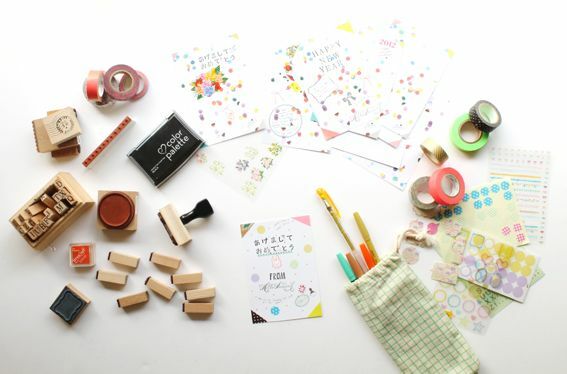 I hope you can come along to our Nengajo making workshop on 8th December in Shimokitazawa. Let's make 2012 Nengajo together! It would be so much fun if you could come and make Nengajo with us at commune gallery. 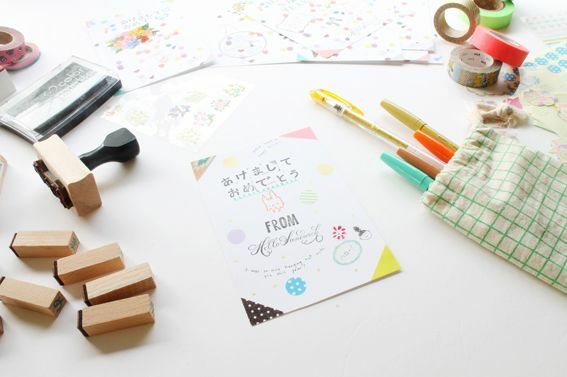 In the workshop we will gather around a table and have fun hand stamping, collaging and using stickers and drawing to decorate our new years cards. 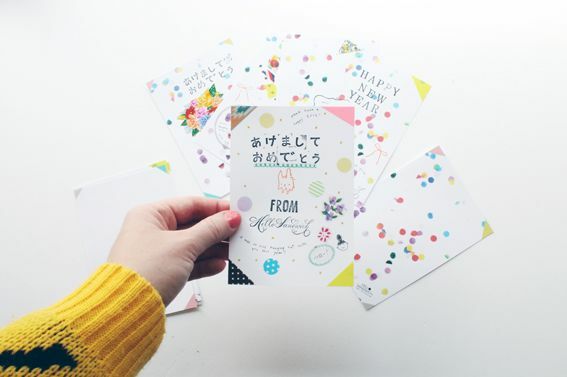 You will receive ten copies of the confetti new year card I just designed then you can have fun decorating it in your own unique style. There will also be blank cards for you to decorate if you prefer. It will be fun to make them all together in a festive environment don't you think?